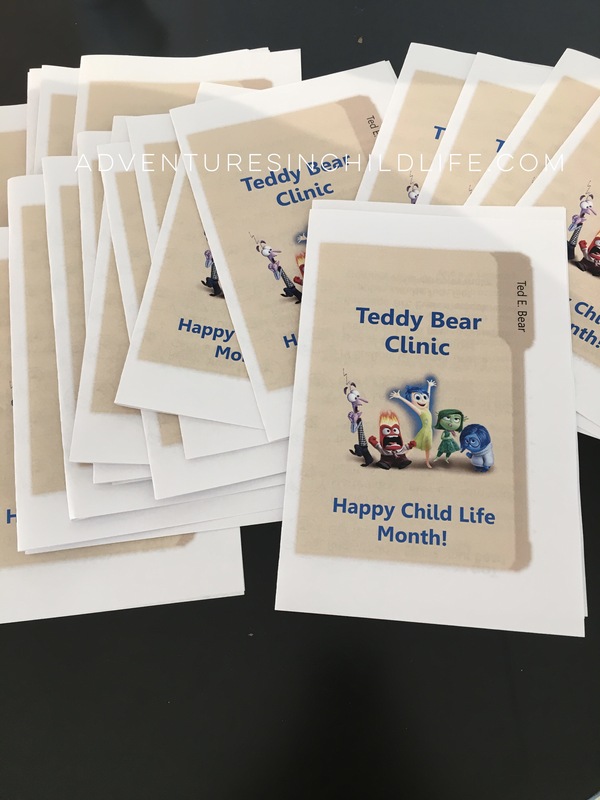 Another fun event my team and I hosted in honor of child life month was a teddy bear clinic. This event is usually a great hit with the patients and families. We started off by giving each “doctor” their patients chart. 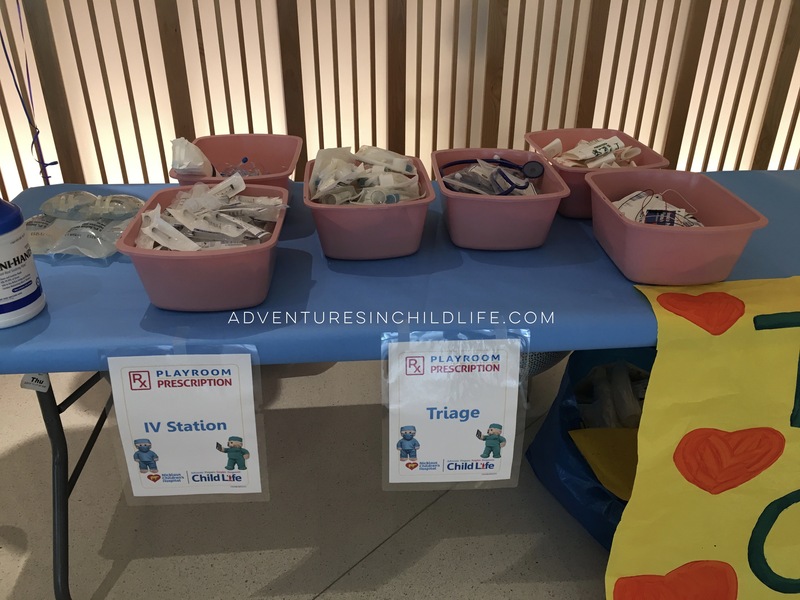 Here we included some information on the “top 10 reasons to call your child life specialist” as well as information on the different stations at the event. These are all of our “bear-y” sick patients. 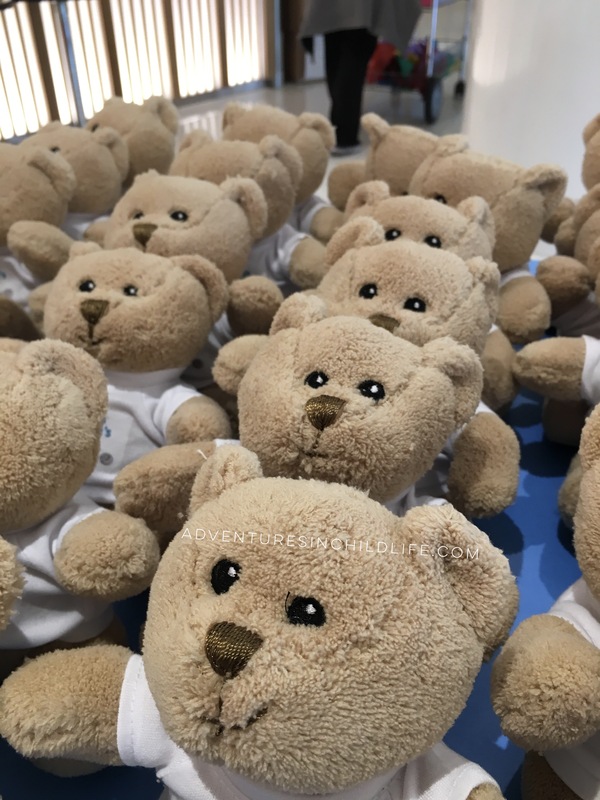 We contacted our marketing department and they had many bears with our hospital’s logo that they were happy to donate to us! This first station is where our “doctors” would gown up and get ready to treat their patients. This was a very popular station and it was so adorable to see kids proudly walking around looking like doctors. The next station was triage followed by the IV station. We had a CCLS at each of these stations helping guide the “doctors” as they cared for their patient. Here is where we were able to sneak in our education & address misconceptions. Here’s a closer look at our triage station and IV station. 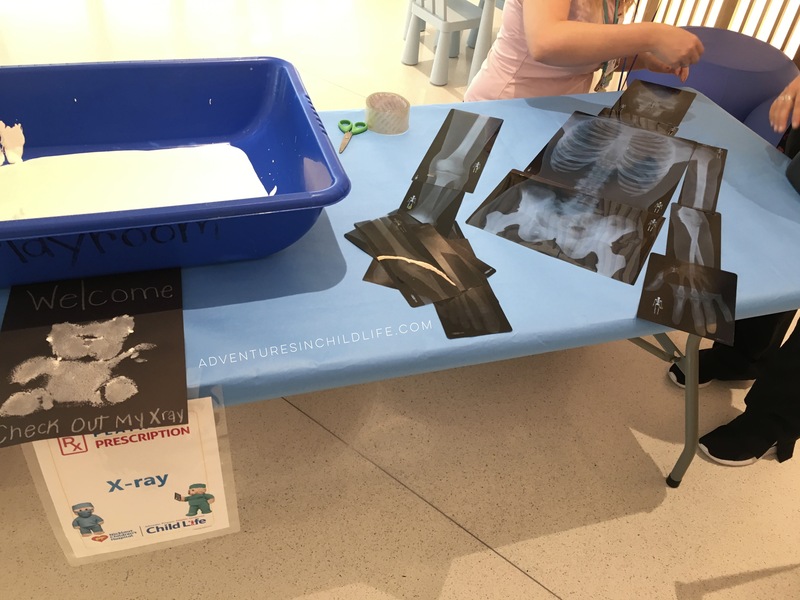 Finally, the patients were able to do an x-ray by dipping our demo bear into white paint and smudging it on black paper. 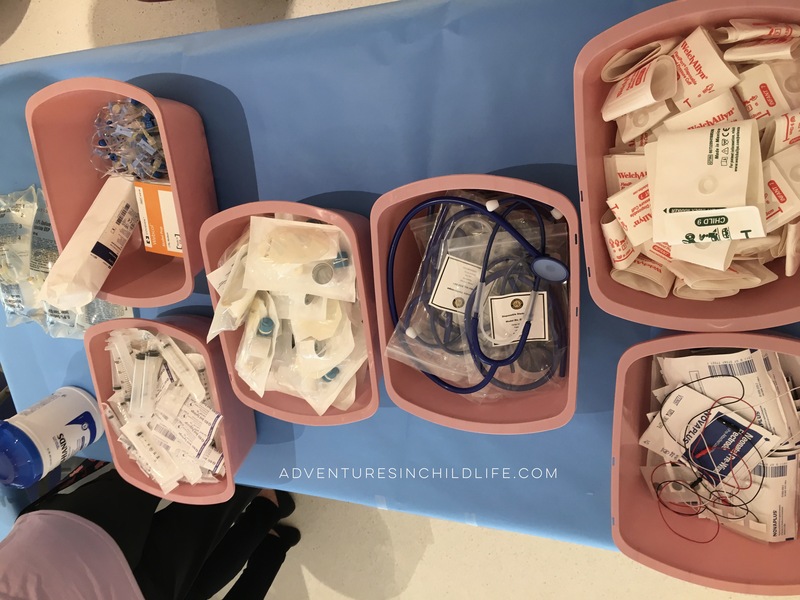 This was a very fun and creative way to incorporate medical art into our teddy war clinic. 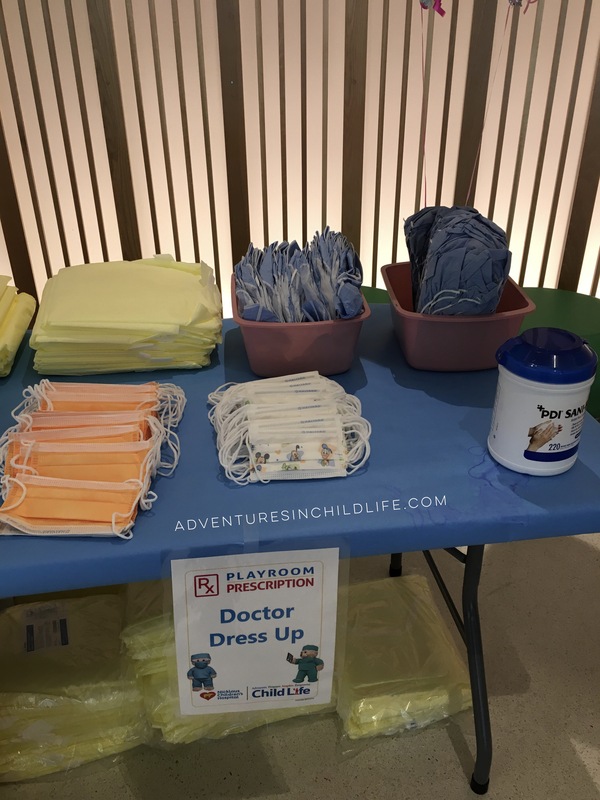 Some other activities we had at the clinic were a photo booth station with props and a table with markers, crayons, and construction paper for the “doctors” to write a get well soon card to a patient in the hospital. We also included band-aids and gauze at this station to continue to promote medical art. Needless to say our clinic was a big success and all of our teddy bears were cured. Thanks, doctors!